Nothing excites me more than pretty pictures when I am reading a blog. Beautiful and colourful photography really captures my attention and I will click subscribe quicker than you can say “hello” when your blog is filled with pretty images. Well, maybe one thing that excites me more. And that’s lists. making lists. Like this list. 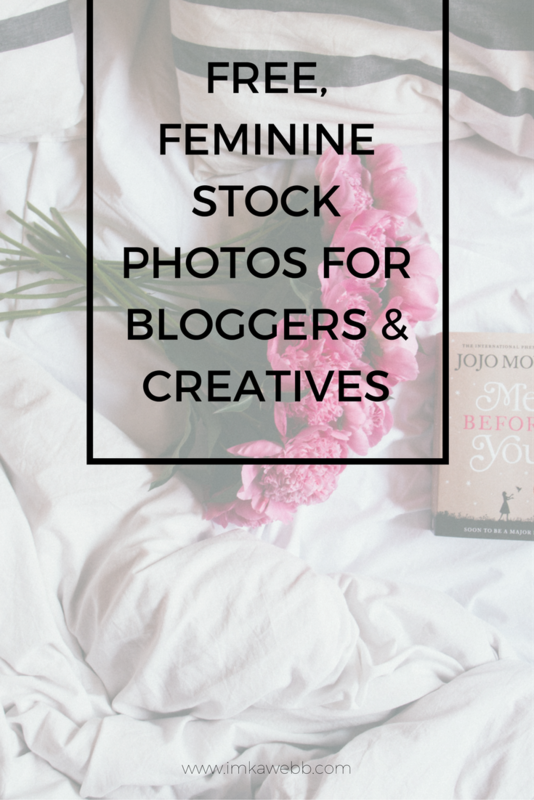 This list for you – free stock photos for bloggers! But, what happens when you are not a pro-photographer and you struggle to take a “Pinterest-worthy” blog picture? You fake it, of course. Faking it does by no means mean that I go around grabbing images from Google and Pinterest and using it as my own. Oh hell no! Instead, I use stock photography. I’m not talking about standard stock images that anyone can find, I’m talking beautiful, crisp and colourful images that is perfectly suited to my blog and brand. I am not a pro-photographer by any means and this often means that my personal images aren’t good enough for my blog, but I have found a few sites that offer “free” stock photos for bloggers that I love using for my blog. These images are beautiful images of offices and desk spaces and is perfectly in line with the Glamorous Glitter brand. Other stock photography sites offer beautiful (and sometimes free) images of products, people and nature that you can use for your blog. Ensure that you read the licencing terms and conditions for each of these sites so that you don’t land in hot water when using these images. I’ve included some free and some paid-for sites for stock photography and they all have different licencing terms. What sites do you use for free stock photos for bloggers? Let me know in the comment section below. If I love it, I will add it to this awesome list of stock photography for bloggers. P.S. Struggling to drive traffic to your blog? The Blog Marketing Guide is the answer to all of your questions. This ebook is filled with actionable tips and advice to skyrocket your blog traffic and your followers. I also share my fool-proof strategy for turning readers into followers, and followers into customers/clients. Interested? Click here to find out more.